This past summer was one that came with a lot of opportunity and a lot of hard work for our family. Matt was given a promotion last year to be the assistant operations manager over an up and coming department for his company which was great but also meant a lot of long hours at the office, and a lot of over time once the department launched this June. We have been down similar roads before though so we had a pretty good idea of what to expect. The biggest difference of course this time around is that we had a 6 month old baby girl to take care of as well. 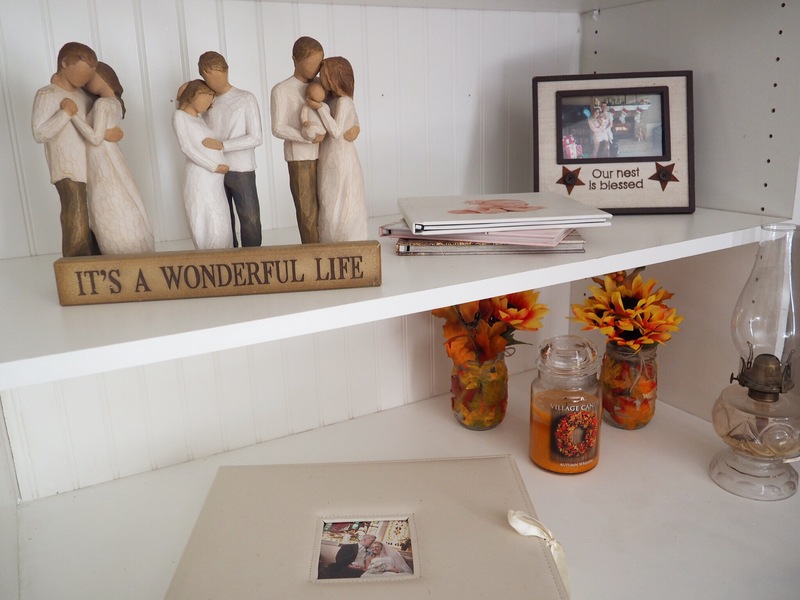 It was a season that went by super fast because of everything that was going on and how hard we were both hitting the grindstone (Matt with the launch of his department and me with growing and sustaining a successful small home business). At the end of it all we had a lot to show for our hard work including a pretty nice sized bonus Matt’s company blessed us with on top of all his extra over time payment! We had been living with the original carpet that was installed when our home was first built over 20 years ago, and it was really starting to show it’s age. 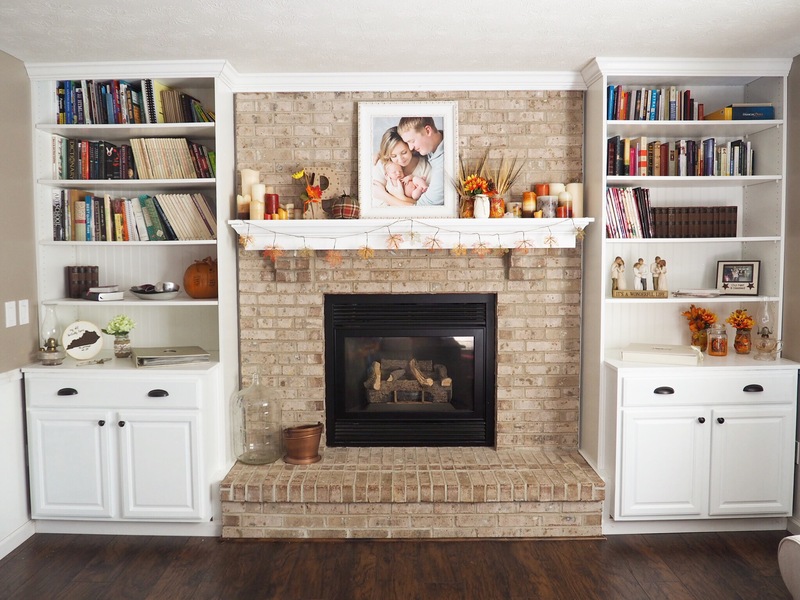 We had also talked when we first bought our little fixer upper over a year ago about how we wanted to install builtin bookshelf’s around the fireplace one day and had a pretty good idea of what we were wanting since we had been dreaming about it for over a year. Now we just needed the time. 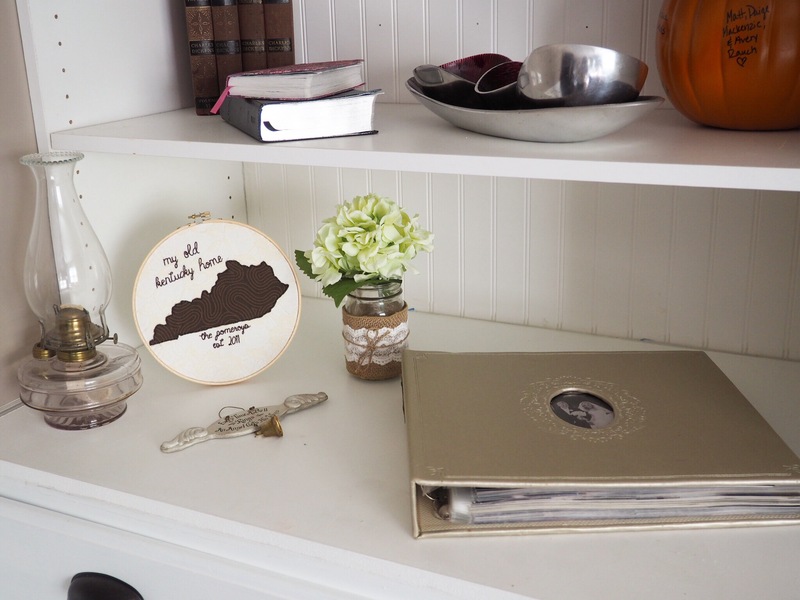 It had been a while since we had done any work to our little home and Matt and I were both really itching for a project to work on together. So we marked our family calendar and anticipated our long 3-day marathon remodeling date! So without further hesitation (and my rambling) here they are!!! 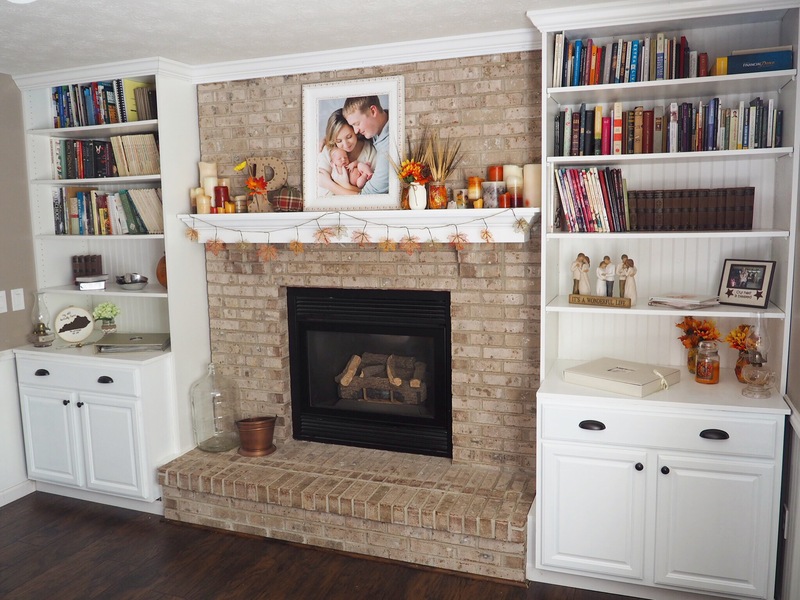 March 2015 – Our living room fireplace the weekend we became home owners and before we moved in/started renovating. 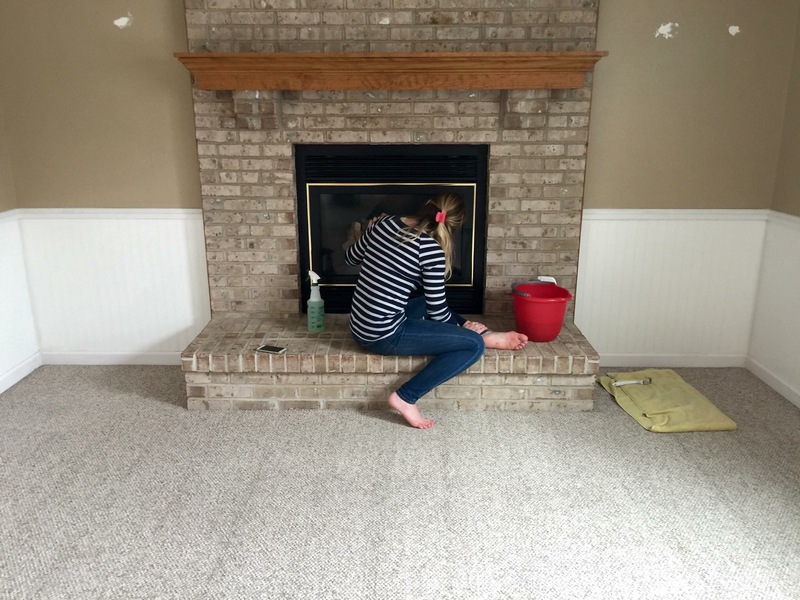 March 2015 – giving the fire place a good cleaning before move in weekend! The finished product! 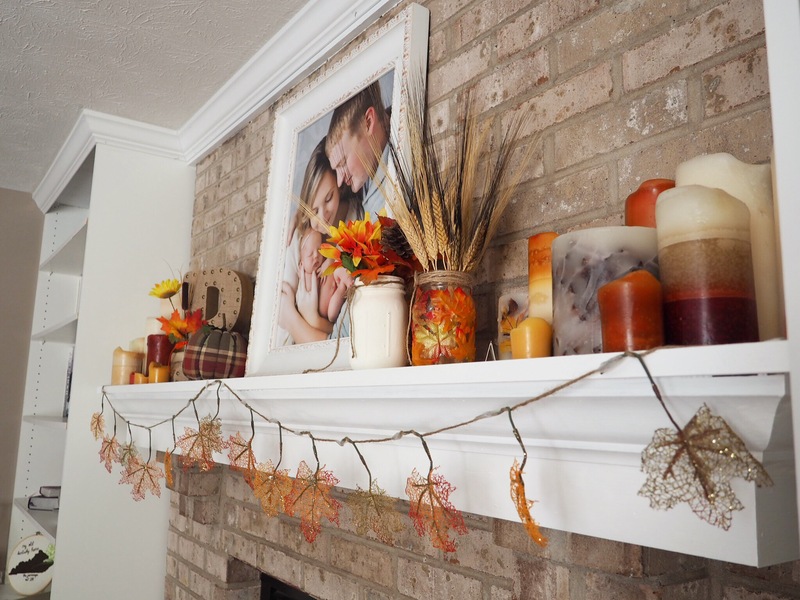 Our homeowner dreams come to life! 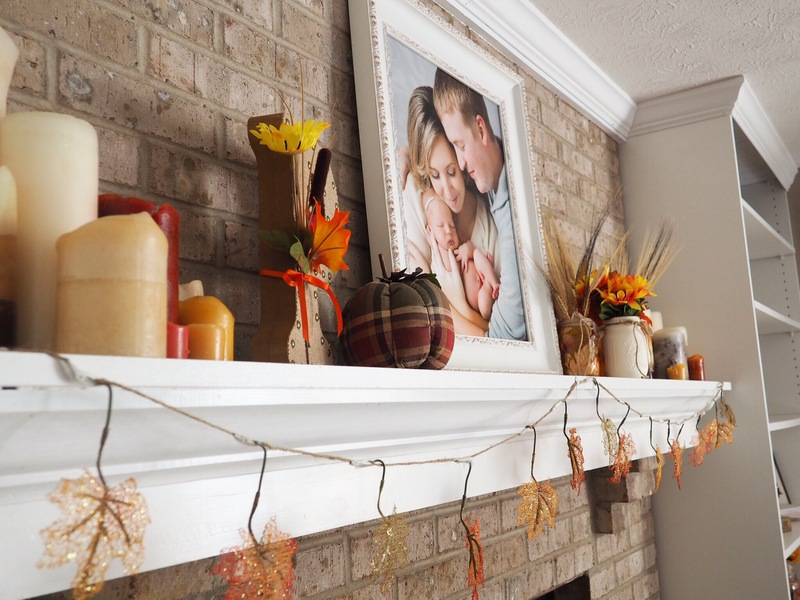 A fall inspired mantel with crown molding thanks to my handy mans hard work. 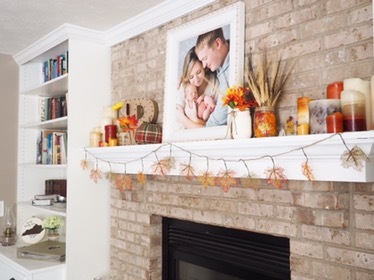 Seriously crown molding is much more difficult to cut and install than one would think. I am so proud of him for not giving up and for figuring it out. He is so smart! 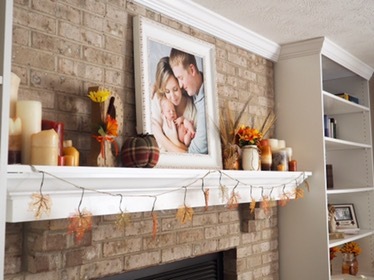 Larger shot of the mantel! 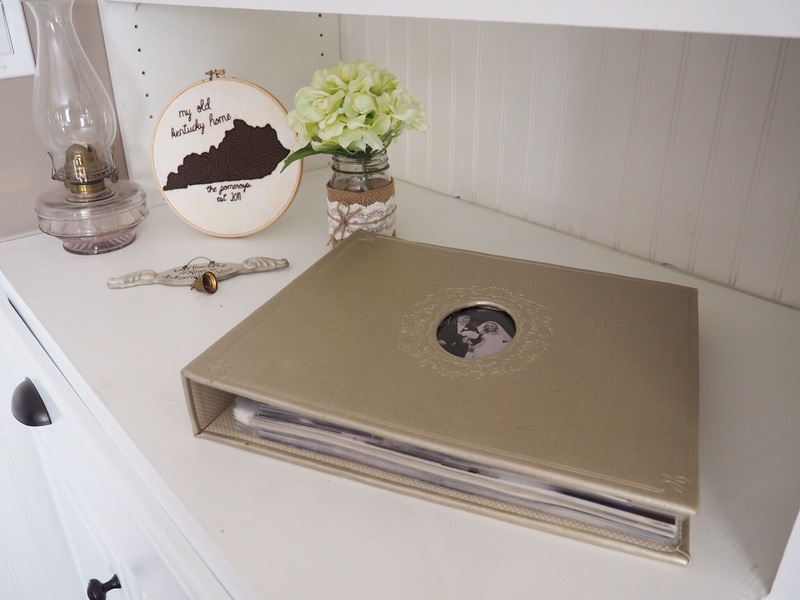 Sentimental decorations, gifts from loved ones and our wedding albums now have a place to be admired! 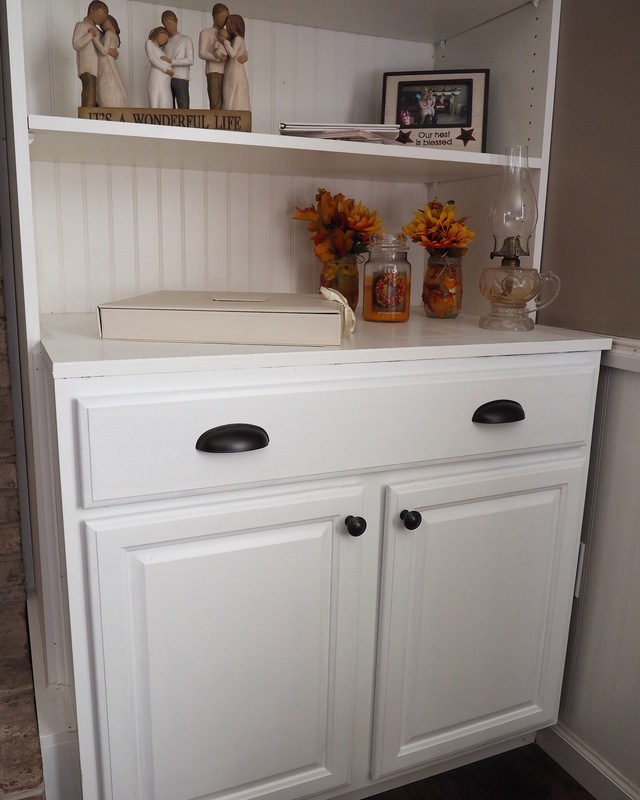 We used General Finishes Milk Paint in Snow White to finish the cabinets. 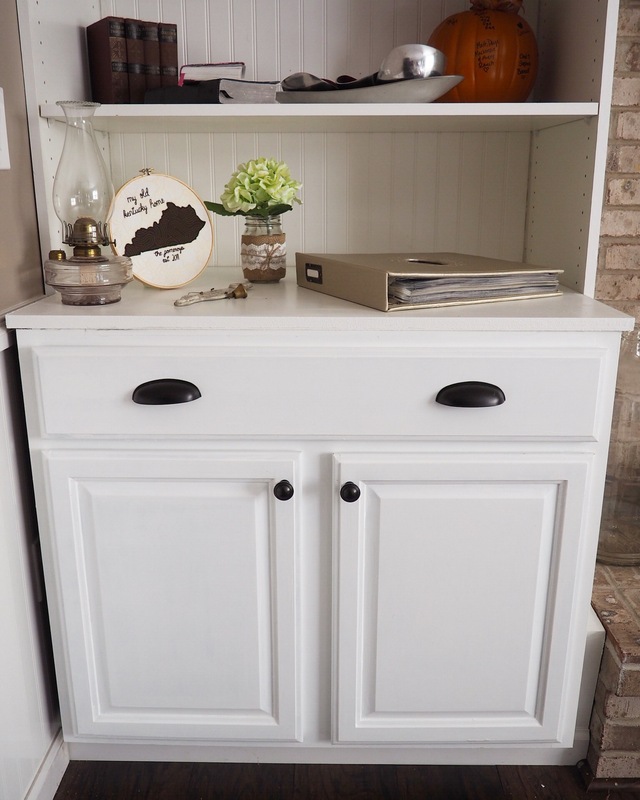 It was our first time working with milk paint and we loved how it turned out but it didn’t come without the price of a lot of time and effort. 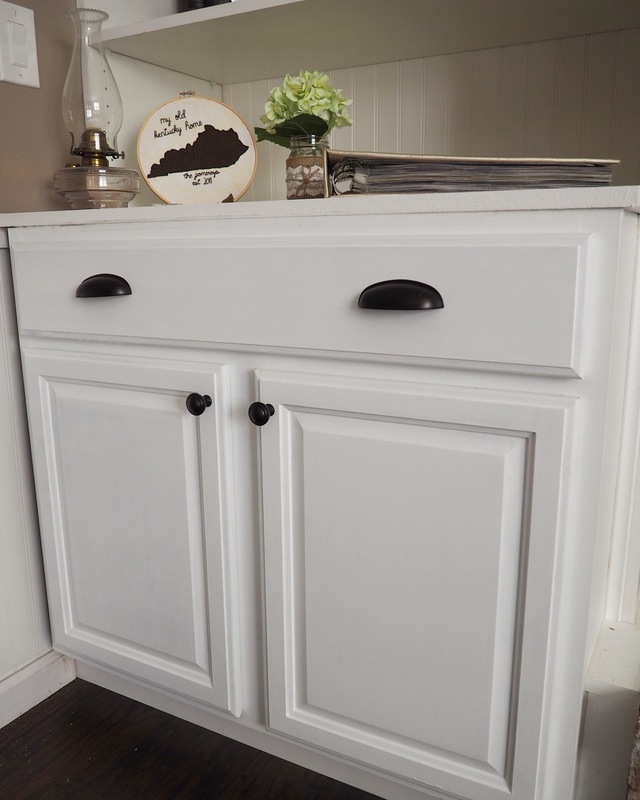 We had to put 4 coats on each cabinet to get the whole thing covered!